Philippine Navy activities for the acceptance and testing of Israeli Typhoon Missile Launch System-ER installed on Multi-purpose Assault Craft (MPAC)s BA-488, BA-489, and BA-491 were set to new dates and location, as per Notice to Mariners released by the Philippine Coast Guard (PCG). Israeli Rafael Advanced Defense Systems supplied the Typhoon Missile Launch System-ER which includes Spike-ER missiles, launchers, an Electro Optical director and a fire control system. In previous Notice to Mariners Number 162-2018 — July 17, 18 and 24, 25 were set for Sea Acceptance Test (SAT), while July 16 was set for live fire demonstration. 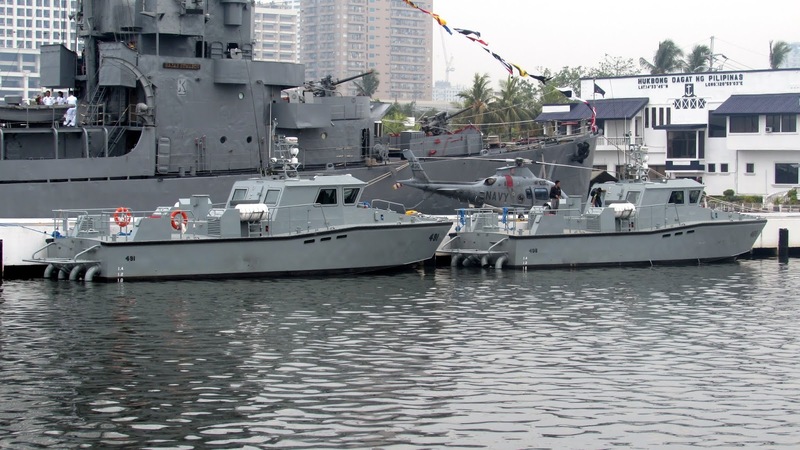 In latest Notice to Mariners Number 172-2018, the Philippine Navy will have July 25, 26 as primary dates with August 1, 2 as alternate; August 3-6, and 7 for rehearsal; and August 9 for the live fire demonstration. The location was changed from 7.9 nautical miles southwest of Corregidor Island to 2 nautical miles northwest off Carabao Island in Ternate, Cavite. President Rodrigo Duterte is expected to attend the August 9 live fire demo. Babi china kepergok congkel matanya udah gitu sabet perut pasti indah isi perut nya kelur semua ! Kesenangan mempertontonkan kekejaman, sadisme dan menikmati aksi penyiksaan itu adalah ciri-ciri orang yang....IMPOTEN, untuk menutupi kelemahannya.